Like most humans, astronomers tend to be pack rats. We collect all sorts of equipment and books and paper and data, and we are very slow to rid ourselves of it. But what should we hold onto, and when should we let go? This question has been rolling around my mind for a few weeks (though off and on longer than that), starting with the announcement that one of the Mars rovers might have to be shut down, and the subsequent reversal of that decision. And the furor over the Mars funding may have led to one NASA leader resigning his post. The problem NASA faced at Mars (and has to face with other space missions) is how to gracefully end missions that could be continued, though with ever dwindling science output. The Mars Rover Spirit is limping along, spending its Martian winter (about twice the length of Earth winters) parked on a steep slope to try and catch enough sunlight to keep from freezing. When it does move, it is dragging a wheel. Spirit's rock-grinding tool is worn down, and some of its other science instruments are not functional. But Spirit can still take pictures and do some science measurements, the public loves the rover, and it is easy to be emotionally invested in the rover, rooting for it to survive another year against the odds. But the costs of operating a rover are high, tens of millions of dollars a year. And that money has to come from somewhere -- typically it is cut from future science missions. So, which is more valuable? A shrinking return from the famous and intrepid Spirit rover, or investment in future science missions? I think we are rapidly reaching a point with Spirit (if we haven't already) where the poor rover just can't give us enough worthwhile data. The decision is complicated by the ever-increasing number of NASA robotic missions, which are placing an ever-increasing demand on NASA's Deep Space Network of radio antennas that communicate with the space probes, and NASA's big (and costly!) plans for new manned rockets, new technology, and ambitious robotic missions (like a Mars sample-return mission, or a lander for Jupiter's moon Europa). But it's not as simple as that. If the rover (or any mission) is threatened, the people working on the mission will fight. They've invested the better part of a decade or two in this robot, and they want to run it into the ground and not have to look for other jobs working on someone else's pet project. These are completely understandable and valid point, but, again, maybe not the most scientifically productive stance. So, the people upset when their mission is about to be ended complain, and complain publicly. And then the public, which really loves the rovers or robots or space telescope, complain. We astronomers are grateful that people care enough about our work to complain about it to our government; this has helped rescue great science in the past, and it will in the future! It's also inspiring to know that we are doing work that people care about. But, again, is it worth lots of money to keep a program limping along? The court of public opinion may not be the right place for that battle to be fought. Personally, I think that the members of science teams and members of the public will accept that all missions must end, and sometimes before the robot is completely dead. Some will accept such decisions only grudgingly. But there are better ways to make such announcements than short memos. A science mission as successful as the Mars rovers deserves better. I think missions like this deserve a wake, a celebration of the mission's life, the many people involved, the sweat and frustration they put into their work, and the great science that came out of it. That affirmation of the value of the mission and the people involved is the least we can give, and it lets a mission go out with a bang instead of fading into the cold, harsh reality that is outer space and federal budgets. For now, though, the Mars rovers will continue to plod along, collecting useful data on the Red Planet, even as the next wave of Martian landers approaches to begin their own exciting research. 18 years ago today, the Hubble Space Telescope was launched on the space shuttle Discovery. It's hard to believe the telescope is now old enough to vote (I don't know who the Hubble would support in the presidential election; probably either McCain, Clinton, or Obama). Hubble was originally designed for a 15 year mission, so it has exceeded our hopes and desires. And, with a refurbishing mission on the way later this year, HST should be good for at least another 5-10 years. In honor of Hubble's birthday, NASA has released a collection of pictures of 59 colliding galaxies. There's lots of neat things in those pictures -- dust and debris being flung every which way from the collision, bursts of star formation, giant black holes flaring to life, and more. Thanks to all at NASA for their hard work with Hubble, and thank you to all you taxpayers for you money that keeps the telescope running! Last week, famed physicist Stephen Hawking made news by stating that he thinks there is life elsewhere in the Universe. Hawking's speech was given as a part of a celebration of NASA's 50th birthday. I'll admit, I am a little surprised at how much press Hawking's comments have received. Granted, his speech had all the ingredients needed for a media frenzy: a celebrity scientist making a statement on a popular topic in a public forum. But the scientist in me is perhaps a little too jaded. Hawking is famous (and rightly so!) for his work on black holes, general relativity, and the interface of gravity (which dominates the large-scale universe) with quantum mechanics (the physics of fundamental particles). He doesn't work on astrobiology (the study of life in the Universe). And so, while Hawking's opinions are undoubtedly well-informed, he is not an expert in that field. From a scientific viewpoint, I'd personally place much more weight on the opinions of an astrobiologist than on Hawking's opinions on this subject. And Hawking's opinion, that life may be quite common but that intelligent life is very rare, is not a groundbreaking statement. In the past couple of decades, this has become a fairly common opinion. Life has existed on the Earth for over 3 billion years, but complex organisms have existed for only the last 550 million years or so. And only in the last few million years has "intelligent" life appeared, though there is much argument over what constitutes "intelligent" life. If you go by the definition that intelligent life is capable of communicating with life on other planets, then Earth has only had intelligent life for 100 years (though this is a little too strict, I think). So, if life is out there in the Universe and it is similar to life on Earth, then most of the life out there is probably some sort of algae soup, not friendly, space-faring gardeners. And, therefore, Hawking's remark is not earth-shattering. But this story shows how the messenger can be just as important as the message. In the eyes of the general public, Stephen Hawking is an expert in all things astronomical. Therefore, whatever he says about life in the Universe carries much more weight with the public than anything a preeminent astrobiologist might have to say. So, for that reason, I don't have a problem with Hawking getting credit for expounding commonly-held opinions. If he were to start claiming that aliens from Venus are taking over our planet, then I'd have a problem. But, if science and education are being served, more power to him. Today is Earth Day! But I promise not to fill this space with discussion of climate change and sustainability and the like, as there is plenty of that discussion out there already. However, I would like to note how crucial studies of the Earth are to astronomy research, as looking inward gives us a reference point for interpreting what we see when we look outward. Planetary astronomers get the most direct help from studies of the Earth. Other planets and moons have volcanoes, fault lines, atmospheres, and weather. It is not hard to imagine how understanding lava flows on Earth may help us to understand the history of Martian volcanoes, or how knowledge of cloud formation on Earth can help us understand why Venus is shrouded in clouds, or even the development and structure of clouds on Jupiter. In the next decade, we will most likely discover Earth-sized planets around other stars. And as we develop more and more sophisticated technology capable of analyzing light from those planets, we will likely begin to detect other atmospheres. How reliably can we interpret those findings from far away? 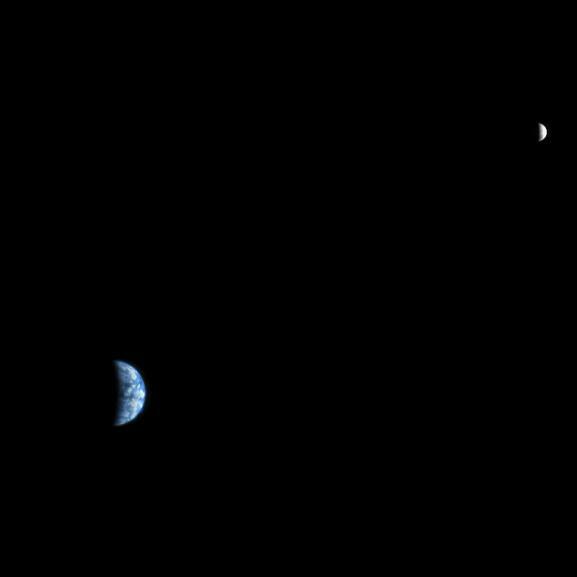 Studies of the Earth from afar (like the above picture of Earth and our Moon taken from Mars late last year) can tell us what we can and cannot detect from far away. Finally, as we begin to look for life on other planets, we need to know how to look for life. Most importantly, are there any unambiguous signs of life that we'd be able to see from hundreds of light-years away? Our atmosphere has concoctions of molecules, like methane, oxygen and ozone, that we don't think other planets can have without life producing them. But maybe other non-biological processes that we haven't thought of could be at work. Do we need to look for signs of chlorophyll? Would alien plants use chlorophyll? What if we see some strange molecule that we don't have on Earth. Could we identify it and discover if it is a marker of life? These are all important questions, and while studying our own planet may not provide us with unambiguous answers, maybe we can get some guidelines toward solving these problems. And, in the meantime, we'll continue to learn more about our home planet, our relation with it, and how we should best maintain it. Sorry for being quiet on here recently. I took a short vacation late last week through the weekend, but am now back to work. Life in astronomy research is incredibly boring at the moment. There are always exciting things happening, and news of new discoveries coming out daily. But I've been falling behind on that. I'm continuing to struggle with the calibration of data I wrote about a while ago, and I have lots of bookkeeping on past work and planning of future work that is underway. And while it is all important, it is incredibly boring and draining to work on. So I'll spare you all the details there. All of this boring work, though, is crucial to any good science. Record keeping, triple-checking of results, consternation over results that don't seem right (maybe we found something new, or maybe we screwed up), and other such hand-wringing are crucial to the believability of any finding. This is a core tenet of science: all results should be tested and checked and documented, and then other researchers should confirm those results by their own methods. Until all of this tedious checking and re-ckecking is done, we should always hold results in doubt, even if the results agree with what we expect! Last week, Nature, one of the most prestigeous scientific journals, released the results of an online poll that found that up to 20% of scientists claim to have used mind-enhancing drugs, mostly prescription medications that have legitimate theraputic uses for some people (like Ritalin and Provigil). So, are scientists juicing? First, it is important to keep in mind that this poll was an internet poll and a voluntary poll. This means that the results may be skewed one way or another. Perhaps more scientists take drugs and don't want to admit it. Perhaps those who don't have a problem with mind-enhancing drugs or those who take such drugs would be more likely to take the poll than those who don't (I think this is probably quite likely). Or perhaps non-scientists "stuffed the ballot box" as a joke. Any pollster worth the title will tell you that accurate polling is very difficult. If you ask 1000 random Americans "Do you approve of the job President Bush is doing?" and another 1000 random Americans "Do you approve of the job George Bush is doing? 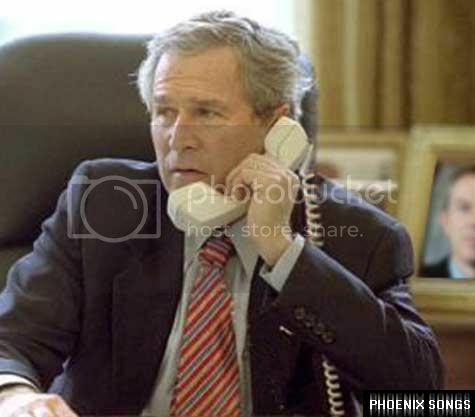 ", "President Bush" will get higher ratings than "George Bush." The use of the title of "President" subconsciously instills a little more respect in people. Also, if you ask 1000 random Americans a question and 1000 random iPhone owners the same question, you may well get different results, because the typical iPhone owner is not identical to the typical American. In short, before we make too much of the "juicing" scientists story, we need to realize that the respondants were a self-selecting group, and I do not know how the phrasing of the poll questions was chosen. So, it is probably wrong that 20% of scientists are trying to enhance their mental abilities. But I don't know how wrong. And the number might vary from science to science -- a high-pressure science, like medicine or genetics, might have a higher fraction of people willing to take a substance than a lower-pressure science. Still, I think that this result should be pursued. First, it is interesting in and of itself. Second, there are ethical questions one can and probably should ask about taking mind-enhancing drugs. Should a person take a drug that might enhance their mental ability, even if the person is otherwise healthy? What is an appropriate trade-off between the mental enhancement and side-effects? As for me, the only mind-enhancing drug I take is coffee, though I probably consume too much of that, especially when I am at the telescope. I have strong (but somewhat vague) ethical problems with non-theraputic uses of drugs. But I would argue that most of the science that we astronomers do is non-critical, in that people's lives don't hang in the balance. If I were working on cancer treatments or AIDS vaccines or similar science, I might feel differently. But since I have no experience in such work, I can't honestly say how I would feel. Still, I think that we need to be careful messing with our minds. Our brains are amazing organs, the products of millions of years of evolution, designed and built to allow us to function efficiently in ways we have only begun to understand. Tampering with that could be asking for trouble. Last week American Airlines had to cancel a couple thousand flights due to mechanical issues. Many people who were supposed to fly (like me) ended up staying home. I personally know people who missed out on weddings and important meetings because of all of the chaos. Airlines can be sorry all they want, but when people miss events like weddings and funerals, there's no way to apologize properly. Anyway, what happens to astronomers who miss a flight to a telescope? Telescope time is a rare commodity for many astronomers. A few nights a year at a large telescope is enough to keep most observers gainfully employed. Telescope nights are typically scheduled 6 months in advance, and there is almost no flexibility in the schedules of most telescopes. So, what happens if you can't get there? For most telescopes, the astronomer is out of luck. Often the astronomer is solely responsible for the telescope; if there is a telescope operator, that person is quite knowledgeable about the telescope and the mechanics, but would not be able (or willing) to do an astronomer's observations for her. For that reason, many astronomers (myself included) travel a day or more early to the telescope. The extra night can be used to settle in and to start to get on a night schedule. I've had to use that extra day several times, especially when I fly to South America. If I miss my connection, or the intercontinental flight is delayed for 12 hours (which happens quite a bit! ), there is no option -- I'm going to arrive 24 hours later. It is awful to hop off of a 7000 mile plane trip and then stay up all night, but some times it has to be done. In some cases, observatories are set up for "remote observing," where the astronomer can be thousands of miles away and observe over the internet. This runs risks, such as the internet going down, but some people prefer that risk to travel, and sometimes it can't be helped. After the terrorist attacks of September 11, 2001, all air traffic was stopped for several days. At least one astronomer in California had time on the Keck telescopes in Hawaii, but obviously wasn't able to get there. So, he drove from Pasadena up to Santa Cruz, where there was a room that was set up with all kinds of cameras and computers for observing, and he was able to use the telescope quite successfully. But few observatories offer remote observing. It is expensive and time-intensive to set up (although it can pay for itself in very little time), and it brings new technical challenges. How can astronomers know they are getting high-quality data, if those data will take hours to transmit across even the fastest internet? Without the ability to step outside, how can the astronomer know what the weather (specifically cloud cover) is like? And are the telescope operators willing to take the extra training they would need to troubleshoot bad internet and other issues that the astronomer would normally take care of? These problems are more difficult than they sound, but they are not impossible to solve. The number of telescopes with remote operations capabilities continues to grow, albeit slowly. For telescopes withot remote operations, however, not arriving at the telescope means no data. Sometimes you may have a friend you can call to do you a big favor ("Hey Bob, you weren't doing anything tonight anyway. How about staying up and taking data for me?") It's a chance we take, just like the chance with the weather. Often you can request new time at the telescope, and the committees that assign time will take bad weather or travel problems into account (provided that the problem is severe -- missing several nights because of poor planning does not endear one to these committees). But there is no guarantee that you will ever get that telescope time again -- maybe someone else will do the project first at another telescope, or maybe the science you propose to do loses its luster. And, often you have to wait an entire year for more telescope time, because most stars are only visible at certain times of the year. So, when an airline grounds over half of its fleet, astronomers can be in quite a pickle, too. Like everyone else, we wring our hands, blow steam out of our ears, and deal with the consequences. Image Credit: P. Delorme and the Canada-France-Hawaii Telescope We astronomers are obsessed with classification. Every object we find in the Universe gets pigeonholed into one or more categories. For example, our own sun is a star belonging to several categories: Population I, Spectral Class G2, and Luminosity Class V, among others. Our Milky Way galaxy is morphological class S(B?)b. There are at least three classes of planets in our Solar System: terrestrial (like Earth), gas giant (like Jupiter), and ice giant (like Neptune). So, it should not be surprising that we have already designated classifications for objects that haven't even been found yet. Brown dwarfs are "failed stars," objects that form like stars, perform a few nuclear reactions early in their lives, but never ignite the basic hydrogen fusion reactions that allow stars to burn for million, billions, and even trillions of years. So, while a brown dwarf starts off as a reasonably hot star, it can't keep itself warm, and gradually cools off. Brown dwarfs of spectral class "L" continue to cool, and complex molecules like methane can form in the atmosphere at temperatures of about 2000 degrees Fahrenheit. This changes the appearance of the star quite a bit, so we created yet another spectral class for these stars: "T." Until recently, all brown dwarfs we know were either spectral type "L" or spectral type "T" (with a few having other spectral types typical of the coolest stars). This is only because cooler stars are very hard to detect -- they are faint, and they don't put out any visible, optical light. All of their light comes out as infrared ("heat") light. Yesterday, astronomers using the Canada-France-Hawaii Telescope on the Big Island of Hawaii announced they had found the coolest known brown dwarf, with a temperature of only about 650 degrees F! At this temperature, a new molecule has formed in the atmosphere, ammonia, and the star's atmosphere looks quite a bit different than the know brown dwarfs of spectral type "T."
Several years ago, Davy Kirkpatrick (who invented the "L" and "T" spectral classes) anticipated that the oldest, coolest brown dwarfs should have atmospheres with lots of ammonia, and he invented the spectral class "Y" for these brown dwarfs cooler than about 900 degrees Fahrenheit. Why "Y"? It was the last useful letter in the alphabet, and these stars will have ammonia in their atmospheres for eons to come. So, the CFHT brown dwarf may be the first member of a spectral class that has existed for 9 years. And we astronomers can all feel pretty clever, because now we can give any star a spectral classification. In terms of science, though, the new brown dwarf probably represents the most common type of brown dwarf in the Milky Way galaxy, because brown dwarfs will cool to these temperatures in a few billion years, and the Milky Way is three or four times older than this. Now that one has been found, I bet many dozens of these class Y brown dwarfs will be found, and we'll be able to study some of the oldest brown dwarfs in the galaxy. While this may be the first class Y brown dwarf to be found, it is not the first object of this kind to be found. The planet Jupiter shines partly under its own light (in infrared light; all of the visible light we see comes from sunlight reflecting off the planet's clouds), and its atmosphere is full of ammonia and similar molecules. For that reason, the "Y" class is sometimes thought of as a link between planets and brown dwarfs. But let's be a little careful here -- planets are different from brown dwarfs. Brown dwarfs are big enough (bigger than about 15 times the mass of Jupiter) that they were able to do some nuclear fusion in the past. Also, brown dwarfs probably formed differently from planets. Planets form in disks around bigger stars, while brown dwarfs probably form more like stars do, from collapsing clouds of gas. Planets are almost always (if not always) found close to their planet stars, while very few brown dwarfs are close to bigger stars. In short, while their atmospheres and the chemistry in those atmospheres may look similar, brown dwarfs and planets are different. One cannot change into another. And that is the only thing that really bothers me about this announcement. The new brown dwarf is billed by some news outlets as a "missing link" between brown dwarfs and planets. In some senses, this is true. But the term "missing link" carries some baggage; namely, its connection to evolution of one species into another. And, as I said, this brown dwarf is not evolving into a planet. There are links in the atmospheres, and many differences are small. But "missing link" is an unfortunate phrase here. Surprising salary: $95,740. Though maybe it shouldn't be all that surprising considering a doctorate is the standard level of education and there are only 1,700 astronomers in the U.S. This article quickly made the rounds among many of us in the astronomy community, because most of us have salaries nowhere near this level. So, where did this figure come from? I think part of the problem may be in the definition of "astronomer." Most of us would use the term "astronomer" to refer to anyone who is getting paid to do astronomy research. This would therefore include graduate students working on their PhD, postdoctoral researchers (people like me who have a PhD and are doing astronomy research but don't yet have a permanent job), university professors, researchers at NASA or other government-operated laboratories, and many other categories. If you look at a typical salary (say the "median", or the salary level at which half the astronomers make more, and half less), the value is most likely under $50,000, or half of what the article claims. The value that the article quotes is probably close to the average for senior researchers -- tenured professors or senior staff who have been working in the field for decades. Prestigious professors or those at private universities may make more, but there aren't too many of these. The statement that there are only 1700 astronomers in the US is also too low by a factor of two or three. The American Astronomical Society, our professional organization, has almost 6500 active professional members. This number does include many foreign astronomers, but many U.S. astronomers tend to let their memberships lapse from time to time. So, there are probably at least 7000 astronomers in the U.S. Not a huge amount, but more than the article claims. I'm not sure where the author got his figures, but his research was either lacking, or he didn't make an effort to understand the field, or he purposefully distorted the numbers for the purpose of interesting copy. Either way, it isn't good journalism. However, I will agree with the article's title, as that salary figure was surprising indeed. In short, most astronomers agree that you don't go into the science for the money. If you succeed as an astronomer you won't be poor, but you probably won't be in the upper class, either. And, since most of us are paid with tax dollars or tuition dollars, know that we aren't trying to line our wallets at your expense. One of the most boring and yet important parts of astronomical observing is calibration. Calibration means to determine exactly how sensitive our telescope was when we took our images, so we know exactly how much light we were detecting from a star or galaxy. This is important if we want to compare one star or galaxy to another, or even to itself (if we want to look for changes in the amount of light the object is putting out), or if we want to test theories about the star or galaxy. In short, calibration is important, actually crucial and central, to our work. But calibration is hard. Earth's atmosphere is always changing, and it lets a little more or a little less light through each night, even if the night seems crystal clear. There can be a little extra dust or haze high in the sky. Or maybe the air is a little more turbulent one night than the next, blurring star images a little more. Or maybe there were thin clouds in the sky, but we went ahead and looked anyway. In theory, all of these can be calibrated to some extent. In practice, it is hard. Even calibrations in space are hard, even though there is no changing atmosphere. The Hubble Telescope has entire week-long workshops every year to discuss calibration. They sound really, really boring, so I've never gone. But, as a user of the Hubble, I'm very glad for the people who agonize over the calibrations. And these calibrations change over time, because radiation and age change the sensitivity of the cameras we put on satellites. Last night, I was nearing time to go home when I discovered a big problem in some calibrations that I had done for a massive project I'm on. Some of the calibrations are off by 50% -- a huge amount! -- and I don't know why! I know that I was more than careful when doing the calibrations, but that still wasn't good enough. So, now I get to spend time and track down the root cause of the problems. Was the night really partly cloudy and we thought it was clear? Did I make a typo in my programs? Or is there a more subtle problem, like the camera was acting up on one night and had varying sensitivity? This will take some time to track down. Last week, some colleagues of mine made some news at the annual Royal Astronomical Society National Meeting in Belfast, Ireland. This team of astronomers, led by Stephen Smartt of Queen's University in Belfast, has been using the Hubble Space Telescope to take pictures of supernovae (exploding stars) in nearby galaxies. They then use pictures of the galaxies taken before the stars exploded, either from the ground or from the Hubble, to look for the star that exploded. From those pictures, Smartt and his team have been able to learn about what types of stars explode. They've found many stars between about 10 times the mass of the sun and 30 times the mass of the sun have exploded, and they also have many supernovae where no star was seen beforehand. That doesn't mean the explosion came from no where, it just means the star was too faint to see from the Earth. These stars probably were "only" seven to ten times the mass of the sun. Even more interesting, they haven't yet seen stars bigger than about 30 times the mass of the sun explode. We know these stars exist, so why don't we see them exploding? One idea, which many astronomers at the meeting believe, is that Smartt and his team haven't looked at enough exploding stars yet. Monster stars are rare; probably only one in every 10 stars big enough to explode are bigger than 30 times the mass of the sun. And while Smartt and his team have looked at a couple dozen supernovae now, it is possible that nature is playing some trick on us. As any gambler knows, sometimes you have cold streaks, even if the odds tell you that you have to win sometimes. If this is the case, Smartt and his team will eventually find a big star exploding. The other idea is that stars more than 30 times the mass of the sun don't make supernovae, but they collapse on themselves to make a black hole. This is the theory that Smartt was proposing, and it is a theory I've heard since I began studying astronomy. The idea is that these giant stars start to explode, but their gravity is so strong that the explosion can't break free. We know that some stars make black holes at the end of their lives, because we can detect the presence of the black holes. But just because not even light can escape a black hole doesn't mean that we couldn't have seen an explosion. When the black hole forms in the center of a dying star, most of the star is far outside the black hole -- these black holes are less than 30 miles across, and the dying star is millions, if not tens or hundreds of millions, of miles across. If you've ever had a bathtub filled with what looks like still water, and you open the drain to let the water out, you know that the water will start swirling around the drain. The water will not just disappear down the drain. The same would happen if you try to drain a star down the "drain" of a a black hole; the remains of the star will start to swirl. And as it swirls, it heats up due to friction, to temperatures of billions of degrees. At these temperatures, all kinds of nuclear reactions happen, and the dying star will release copious amounts of energy. You would think that at least some of that energy would escape the star to be seen as light on Earth. Well, maybe, and maybe not. There are all kinds of complex physics to worry about, and our computers just cannot yet give a fully believeable model. So, for now, astronomers disagree on whether a star can just wink out of existence and make a black hole with no outward sign. And it will probably take Smartt and his team many dozens more supernovae before he can convince astronomers that the most massive stars are indeed disappearing without exploding, even if our computers can't tell us why. Toward the end of last week, I was working hard on a devilishly difficult data reduction problem. (If you must asked, it involves trying to track down extra light, or sometimes a deficit of light, in spectra that I've taken. Like any intermittent problem with your car that you try to explain to the repairman, who obviously doesn't believe you, it's very frustrating to try and track down and solve the problem, especially since I can't just go back to the telescope and try again. See, you really didn't want to know.) So, I took the weekend off and, in addition to some spring cleaning, did some reading that I'd had on my list for a long time. I love to read, especially the "classics" that I so hated analyzing in high school (but now that I do not have to compare and contrast the hero's plight with that of classic Greek drama, or point out 12 examples of foreshadowing, I've come to realize that most of those books really are an excellent read. And all of those miserable exercises learning literary tools actually help me to appreciate those books more. So, my apologies to any of my generally great high school English teachers who were exasperated by my dislike for their curriculum). But though I love to read, I am not a big fan of science fiction, which surprises lots of people. And so, I haven't read a lot of science fiction. I have read Frank Herbert's Dune (the one with the giant sand worms), and I really enjoy that book. But I'd also read Issac Asimov's I, Robot, and I wasn't as impressed. "Dune" is written in the style of a typical novel, most of the characters are fairly well-developed, there are numerous sub-plots, and the futuristic setting is merely part of the landscape, not the focus of the plot. "I, Robot," on the other hand, is a series of short stories bound together under one premise (the Three Laws of Robotics). Each story involves the same characters who resolve their dilemmas by applying the logic of the Three Laws to a specific situation. It's a great exercise in formal logic, but the characters are flat, and there is no overarching plot to the book. So, it was interesting to read once, but not satisfying for my literature tastes. However, I've been told that "I, Robot" was not the best work of Asimov (who seems to be revered as a god of science fiction), so this weekend I set out to read Asimov's Foundation trilogy, supposedly his crowning achievement. I made it through the first book, but doubt I'll get around to the second two. Frankly, it was disappointing. The book was, like "I, Robot," more a series of short stories than some great novel. The novel purports to tell some great epic about one scientist's plan to lessen the impact of the fall of the Galactic Empire on civilization, but really it is another series of short stories, skipping through time without developing characters, or giving more than a skeleton outline of what happens in the decades to centuries between each story. Most of these stories are resolved with a deus ex machine device. And often the outcome of the resolution is given in a quote presented at the start of the chapter, leaving no room for literary tension to draw me further into the story. It would be like opening a suspense novel on the 2012 presidential election by saying "Candidate X only won in 2012 by a 26-24 decision in the House of Representatives, but went on to become the best president these United States ever had." So, I doubt I will become a ravenous sci-fi fan, and certainly not of Asimov. Yes, there are many people who love his work. Perhaps from a standpoint of dreaming up new places and new technology it works, but from a standpoint of storytelling, it falls flat and seems amateurish. I think I'll go back to my Hardy, Tolkien, and Melville. Sometimes, you can learn a lot by what you cannot see. For example, if you are a night watchman at the Tower of London and you find you cannot see the Crown Jewels, you learn that you had better start looking for a a new job and a good lawyer. Or maybe you learn that the batteries in your flashlight have gone dead. However, if you go running out claiming that the Crown Jewels have been stolen when really you just needed new batteries, you are in a heap of trouble. In astronomy, understanding a "non-detection" (in other words, understanding what you are not seeing) is often a crucial piece of evidence in solving a puzzle. The key is knowing when you could have seen something if it were there. One easy example of this is the picture above. In the middle of the picture, you don't see any stars, while on the edges, you see hundreds of stars. If there were stars in the middle of the picture, could we have seen them? The answer is "Yes!" (or perhaps "Duh!") We know this is true because we can see stars on the edges of the picture. So, either there aren't any stars in the spot in the middle of the picture, or something is blocking the light from those stars. The answer is the latter -- a thick cloud of dust and gas is blocking the starlight. If we look at infrared light, which can pass through dust, we can see lots of stars all over the same patch of sky. And, by careful analysis of these pictures, we can learn a lot about the cloud of dust and gas, and the infant star or stars being formed inside it. Okay, now a harder example. We astronomers are pretty sure we know how gravity works. After all, we use Newton's Law of Gravitation and Einstein's General Relativity to send space probes all over the Solar System. But when we apply these laws to clusters of galaxies, we run into a problem. The galaxies move around much faster than we think they should, at least when we add up all of the light that we see. This effect was first noticed by astronomer Fritz Zwicky in 1933, which led Zwicky to propose that there is additional material there that we can't see. In the 1970s and 1980s, X-ray telescopes detected a glow of X-rays from these clusters of galaxies, indicating that the clusters had million-degree gas swirling around in them! This very hot gas would not be visible in optical light, and when astronomers added up how much gas was in this invisible hot phase, it ended up being more mass than in visible light. But even then, it was still not enough to account for the speeds at which the galaxies move around. For this reason (and others that I won't go into), astronomers came up with the idea that some other type of matter, "dark matter", must exist. There is still some controversy as to whether dark matter exists, or whether we just don't fully understand gravity (though most astronomers, myself included, are pretty sure that some invisible form of matter exists). Another example of a non-detection being used is in black holes. In all cases we suspect there is a black hole, light from gas or stars in orbit around the black hole tells us that there is something big and unseen there. For example, this movie shows the observed (and predicted) positions of stars at the center of our Milky Way Galaxy. From the laws of gravity, we are certain that, at the center of the galaxy there is an object with a mass over two million times that of the sun. But, as you see from this movie, we don't see anything there! The only thing astronomers know about that is dense enough to have this much material and yet not be seen is a black hole. In the past, some other possibilities remained, like a dense cluster of white dwarfs or neutron stars -- these would be faint enough not to see. But as more evidence comes in, we have constrained the size of any such cluster to be so small that gravity would cause such a cluster to collapse into a black hole anyway. But we have to be careful not to be fooled. Astronomy literature is full of mistakes people make when they messed up in calculating what they could see. For example, several years ago people were claiming that, in earlier ages of the Universe, there were not as many barred spiral galaxies as there are today. As it turns out, these claims are most likely wrong. When you look at distant galaxies, they appear smaller, so what is clearly a bar in a nearby galaxy can be invisible when seen from far away. And the people doing the study had a little too much confidence in their ability to be able to see these bars. In short, it's hard to see things that are far away, and, if you are wrong about how hard it is to see them, you make mistakes. This week, I was reading a paper by an acquaintance who was looking for light from planets and brown dwarfs (stars that are too small to power themselves by nuclear fusion) around white dwarfs. He didn't find any. And so, the question becomes, why not? Are they too faint for us to see? Or were there never planets there? Or were any planets that were there get swallowed by the star as it grew into a red giant during its death throes? These are questions that the paper tried to address, and it all hinges on how well we know what we can and cannot see. If the planets are simply too faint to see, then not seeing them doesn't mean much. But if they should be visible and we don't see them, then we'll learn something about planets and the fates of solar systems. We'll just have to wait and see. McDonald Observatory is the observatory in west Texas operated by the astronomers at the University of Texas. The observatory is named after William Johnson McDonald, a Texas banker who left the bulk of his money as an endowment to build the observatory. Like any big operation, the operation and maintenance of the observatory is costly; in modern times these funds have come from the budget of the State of Texas and from donors belonging to the observatory's Board of Visitors. Alas, the observatory has fallen on hard times. Because of legislative in-fighting, the Texas state budget for 2008 was woefully inadequate, and the slow response to our economic slowdown has pinched the pockets of many of our best donors. So, we've been preparing for lean times, watching our budgets, and generally sweating bullets and wondering what might happen. Thankfully, salvation came today when we got an email detailing that the department has secured sufficient funding for the foreseeable future by selling naming rights to the observatory. Starting immediately, we're now known as McDonald's Observatory (new motto: "Billions and Billions Observed"), and acting under the auspices of the Golden Arches. Although, admittedly, we've sold out, I think the future finally looks good from a monetary standpoint. And we'll be able to keep doing cutting-edge astronomy from western Texas for the long term, no matter the economic conditions. To help visitors know what we are looking at, Grimace's right hand points in the same direction as the telescope itself. Discussions are still ongoing about other changes. Because of its 70-year history, the 82-inch Otto Struve Telescope will be left alone, but the 107-inch telescope may be named after Ray Kroc instead of former observatory director Harlan Smith. This potential move is going to be quite unpopular, and so is still under discussion. All in all, I think that the sponsorship move is unfortunate but necessary to ensure the future of Texas astronomy. So, if you ever find yourself driving across west Texas and are hungry, feel free to stop by! Just look for the 150-foot high purple Grimace. And don't tell them I sent you.